This tunic is our NUMBER ONE BESTSELLER, and we have this exact special garment in stock right now! For details about this scrumptious style, including measurements, see our regular Minzah page, here. 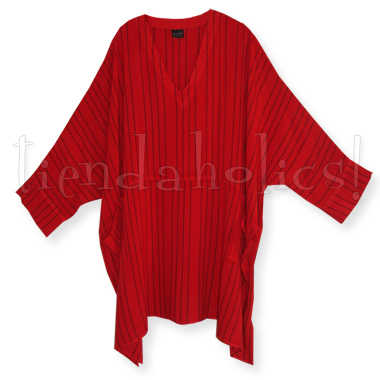 This GENEROUSLY SIZED tunic is IN STOCK NOW in yummy RUBY & BLACK STRIPED weave... usually a special order fabric!